Surya and director Hari are one of the most successful duo who have hit the dot in all the three projects they had worked together. 'Aaru', 'Vel' and 'Singam' were commercially successful movies which were liked by audiences of all classes. The latest buzz states that the duo might team up once again for another project after the completion of their present commitments. Presently Surya is buy with 'Ezham Arivu' and Hari is progressing fast with Dhanush in 'Venghai'. The sources revel that Hari might move on with Surya in the mid of 2011. Hari's 'Venghai' has Dhanush and Tamannah in lead roles. Raj Kiran plays a pivotal role and cinematography is handled by Vetri. Devi Sri Prasad is scoring the music for Venghai. On the other hand Surya after completing '7aam Ariv' will be switching over to KV Anand's project which will be produced by Kalpathy S Agoram under the banner of AGS Entertainments. The film is touted to be a mega budget project. Title, other cast and technical crew has not yet confirmed. 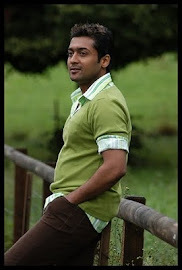 Hari and Surya will join hands in June or July 2011.